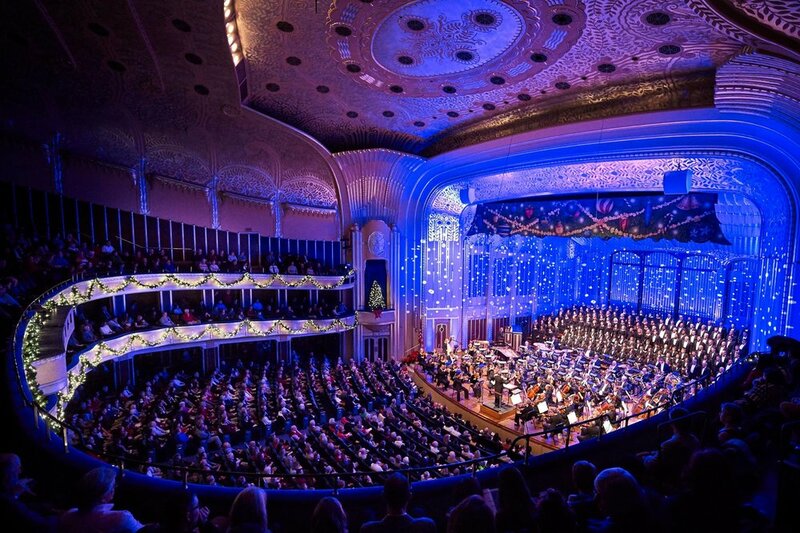 Preview: "The Cleveland Orchestra and local choruses roll out the carols at Severance Hall"
For much of this month, Severance Hall will be filled with the strains of carols as the Cleveland Orchestra brings back its annual holiday concerts for 10 performances. Associate conductor Brett Mitchell conducts a stage full of mighty musical firepower, including the Orchestra, the Cleveland Orchestra Chorus, and, on different nights, the Cleveland Orchestra Children’s Chorus, the Cleveland Orchestra Youth Chorus Chamber Ensemble, the College of Wooster Chorus and the University of Akron Concert Choir, in an evening of familiar holiday music. You will be invited to sing along — with the Cleveland Orchestra! There will be a “surprise visitor.” Gee, I wonder who that would be. Hint: it won’t be the ghost of George Szell. Older PostPreview: "The orchestra does 'It's a Wonderful Life' and 8 more classical music events to hit this week"